COMMunity Beat | Happy Halloween from UW Comm! Happy Halloween from UW Comm! Evan Swope (L), Jessica Robles, and Kyle Hepworth dressing up for Halloween. 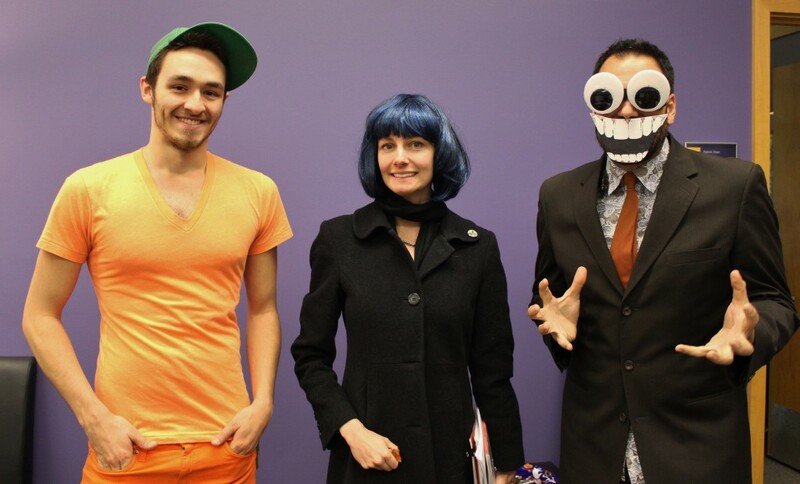 Here are the three most dressed up UW Comm faculty and staff that I found roaming the hallways on October 31. Happy Halloween from the UW Department of Communication! Leave a comment and take a guess at what/who they are dressed up as!